Hunters like to sound like poets. Get us talking about our favorite hunt and things take on a mystical romanticism real fast, like someone wrote a sequel to The Alchemist based in Montana. But hunters have a secret: we’re poets in the field, but when it comes to buying gear, we’re about as poetic as a Black Friday stampede. We love gear. Reading about it, trying it, buying it, showing it off, snagging deals — the whole thing. And there’s no gear we obsess over more than our rifles. 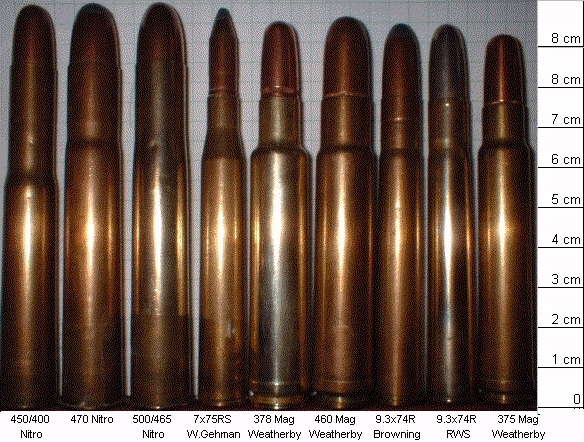 Fortunately, the differences between good modern rifles are usually tiny. Any of the options below will serve you well for many years. The main variable is what you want to hunt, so we’ll split this into four sections: small game, medium game, big game, and dangerous game. Before the rifles, let’s discuss optics to put on them. Beyond about 100 yards, most shooters will have trouble making ethical shots with iron sights. And even inside that range, optics will help keep you more accurate. For a beginner rifle, a few hundred dollars will buy you perfectly good optics. You won’t get the fancy features that are on the multi-thousand-dollar scopes from the likes of US Optics or Nightforce, but you’re years of experience away from needing those. Let’s discuss options. For around $80, the TRS-25 is ideal if you want a non-magnified red dot sight. Long-range hunting requires magnification, so in most cases, this would just be for your .2 LR small game rifle. The Crossfire II is perfect if you’d prefer a magnified optic (or just want a traditional scope) for your .22 LR rifle. It’s very affordable at $130, light, has high-quality glass for this price point, and the 2-7x zoom is a good range for the distances you’ll be shooting .22 LR at. For bigger-game rifles, you’ll get more mileage out of a somewhat fancier scope like the two options below. The Diamondback is the next step up from the Crossfire in Vortex’s line, and it’s a good compromise between price (right around $200) and fanciness. It will work great on an all-around rifle for medium or big game. I’d recommend 3-9x as the best all-around zoom range, and the 40mm objective lens (that’s the lens on the end of the scope that you don’t look into) will gather a lot of light without being too bulky. If you know you’re going to exclusively be doing long-range hunting, a 4-12x zoom range may be a better fit for you. 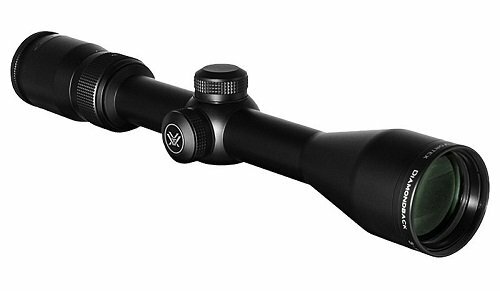 The Leupold VX-1 in 3-9x40mm is also around $200 and is the classic choice for an all-around scope. 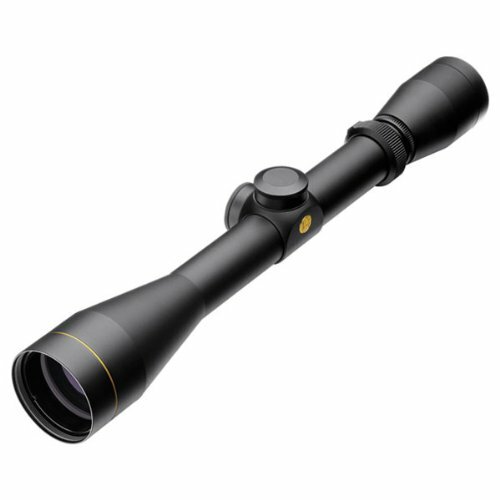 Reliable, rugged, high-quality glass, and a company with a long history of making good optics. Ask an old-timer for a recommendation, and Leupold is probably what they’ll say. They’re not wrong. 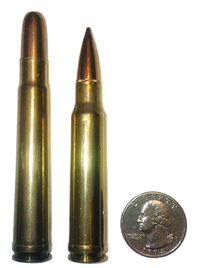 The small-game caliber to stick to is .22 LR. It’s very cheap and is found in a huge variety of rifles. You can use it hunt squirrels, rabbits, and similar-size animals. Here are the best beginner rifles to consider in .22LR. People are quick to recommend the Ruger 10/22 (“ten-twenty-two”), but less quick to explain exactly why. It’s small and light, which makes it easy for people of any age or size to handle. It comes in a version to suit any style or application (even a takedown version that breaks down into two small pieces, perfect for packing on a camping trip). It’s very inexpensive — most models come in just over $300. For hunting, I’d recommend the 10/22 Compact or Carbine with a wood stock because of their maneuverability and classic looks. For backcountry hunting, consider the 10/22 Takedown for its packability. And because of the 10/22’s popularity, there’s a huge aftermarket for it. It’s easy to find upgraded sights (Tech Sight’s aperture sight is our top recommendation), slings (like the classic GI sling), and even smoother and lighter triggers to improve your accuracy. If you only ever own one small game rifle, it should be the 10/22. A few years ago, this would have a strange recommendation. But AR-pattern rifles have become the best-selling ones in the US, and with that, prices have dropped and the accessories aftermarket has boomed. 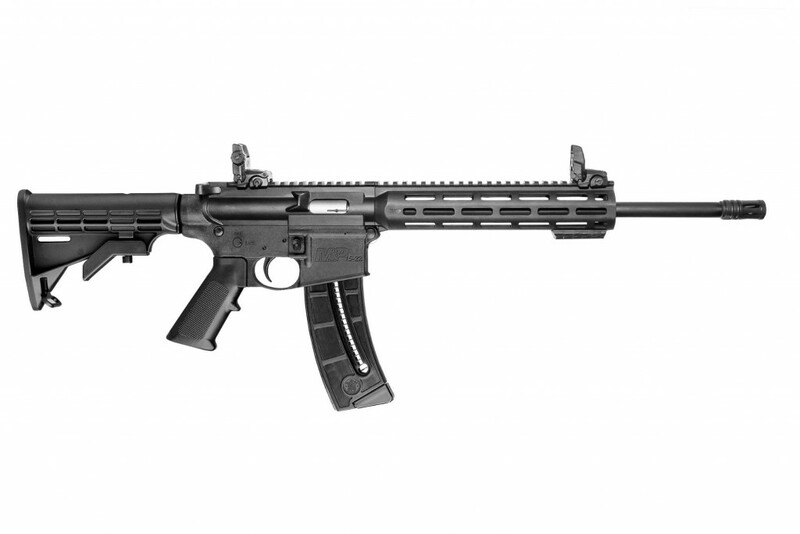 As a result, the M&P 15-22 Sport is now a great small game rifle. It’s light, reliable, has trivial recoil, and holds enough ammo in the magazine for a long day of hunting. And the adjustable stock makes it easy for people of different sizes to share a rifle. You’ll find it in gun stores for a bit over $400. The Picatinny rail on top is a great universal mounting surface for optics. Since this is a light-recoil gun that you’ll generally only be shooting inside of 100 yards, just go for an high-quality entry-level optic. 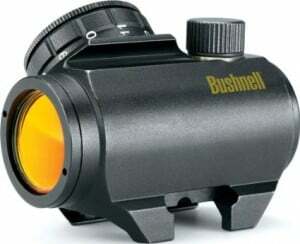 The Bushnell TRS-25 or Vortex Crossfire II 2-7x32mm described above are both good choices. This is less common, but if we’re talking about .22 LR rifles, it would be a shame not to at least consider the Henry Golden Boy. This is arguably the highest-quality lever-action small game rifle on the market, and it’s a bargain at about $450. Accurate and very reliable, it’s great for hunting and fun for target practice in between trips to the field. The cowboy looks of it are timeless too, which certainly doesn’t hurt. 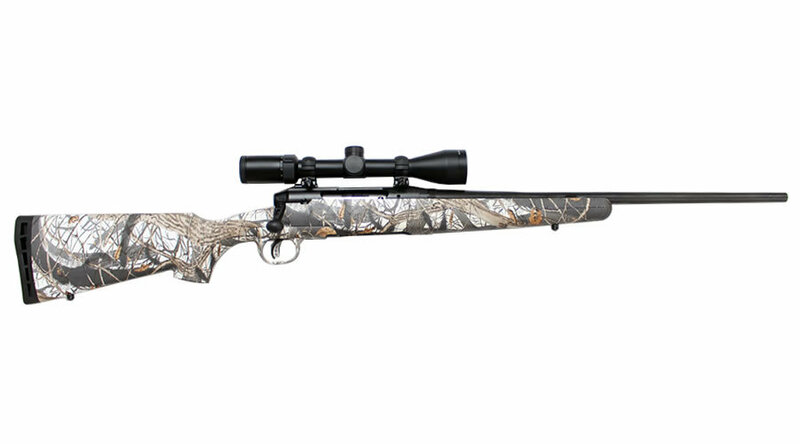 This is the rifle you’ll do most of your hunting with. It’ll cover you for anything from hogs and small deer all the way up to elk or even inland black bears. I’ll recommend specific rifles below, but caliber is a separate — and hotly debated — question. What you want is a cartridge that comes in a variety of bullet weights, is easy to find at reasonable prices, has enough power to hunt a wide variety of animals, and shoots accurately, fast, and flat. You’ll find lots of candidates out there, but I’d point you towards the 7mm-08 Remington, .270 Winchester, or .308 Winchester. The differences between the calibers aren’t worth discussing here, and any of them will serve you well. Just pick one and practice your shooting! The Axis II XP by Savage Arms is perhaps the best value in bolt-action rifles today. For about $450, you get a reliable, light, accurate rifle. Can’t ask for much more than that. For anyone on a strict budget, this should be the first rifle you look at. For a little more money at around $700, put the T3 Lite in .308 at the top of your list. Stainless steel models will keep it from rusting in wet conditions, and all Tikka rifles leave the factory with a guarantee that with good ammo, they’ll put all your shots inside a 1” circle at 100 yards (1 MOA). The build quality and features like a great recoil pad are the best you’ll find in this price range. Once you get into the $1500+ price range, you will find rifles that are lighter or slightly more accurate. But for less than that, the T3 Lite is the one to go with. Also available in left-handed models too! If you’ll be hunting even bigger animals, like moose or big elk, your all-around rifle may not carry enough power to make ethical shots — it’s important to have a rifle that will kill the animal quickly and cleanly. Shot placement is of course paramount, but caliber does matter too. For accuracy, and the best balance of power and recoil, I’d recommend the .300 Winchester Magnum or it’s shorter-but-roughly-equal cousin the .300 WSM. The Tikka T3 Lite Stainless is also excellent in these bigger calibers, but for a few hundred dollars more (total price around $1100), the Kimber Montana adds a few nice-to-haves. 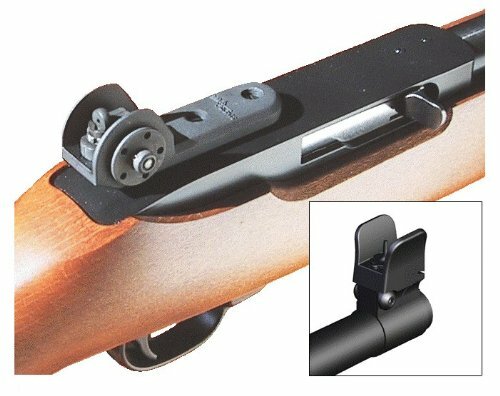 It has a three-position safety, which lets you cycle the bolt without taking the gun off of safe. The fit-and-finish is slightly better (notwithstanding some occasional quality control problems that Kimber has had). And it’s three ounces lighter than the Tikka. All small things, so the Tikka may still be the way to go. Get the Kimber if those nice-to-haves are important to you. Or get it if you like the look of it! The fact that we often buy guns based on their looks is a well-kept secret among hunters, but hey, you have to like your equipment. Your next question may sound something like, “Beginner rifles are fine, but what happens when I go out for Kodiak bear? What do I take for Sasquatch? Suppose I’m attacked by a lion riding an angry hippo — what then?” There are rifles for that too! Here are three options for the next time Ernest Hemingway invites you on safari. Chambered in the timeless .375 H&H Magnum, the Kimber Caprivi has the classic looks of a dangerous game rifle, and handy features like a 1-inch recoil pad and three-position safety. At 8 lbs 10 oz, it’s also relatively portable for rifles in this caliber. The built-in iron sights are an important detail if you need to get a shot off quickly, since it’s quicker to get iron sights on a target than to find a moving (potentially charging) animal in a magnified scope. It’s a fairly expensive, around $2700 in most stores. Less expensive than the Kimber at just about $1900, the DGR is a modern-style take on the same concept. It stays away from the Caprivi’s classic look, adds iron sights that are removable (and can be replaced with a scope), and also adds a muzzle brake (which makes the gun a lot louder, but reduces recoil by 35-50%). Finally, it features the same three-position safety as the Kimber. It’s available in six different calibers. If you’ll be using it inside of 200 yards, go with .416 Rigby. If you want to shoot it well beyond that, choose .338 Lapua Magnum. Do you like the other guns but hate having money? 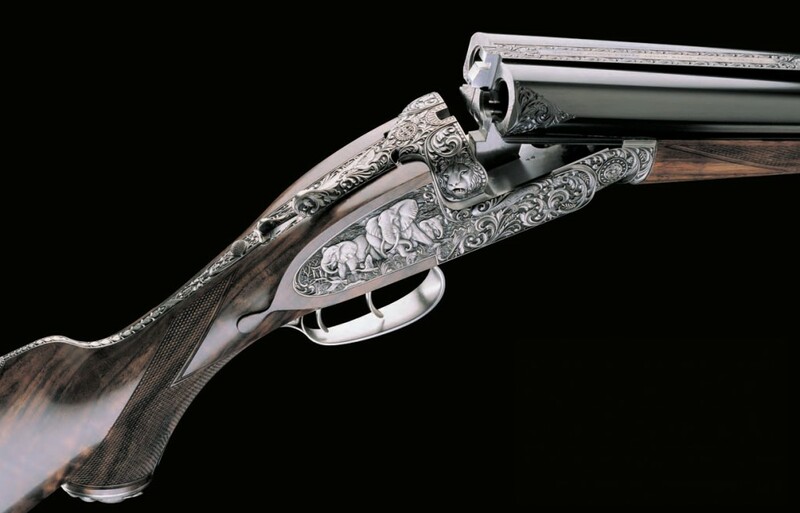 Then consider a double rifle from Purdey, who have been building fine rifles and shotguns in London since 1814. The two barrels give you two shots faster than any bolt-action gun will, and the entire gun, from internals to wood to engravings, is made by hand to your specifications. But keep an eye on it in camp — prices start around $50,000 and climb well into six figures depending on the details you order. It’s fun to talk about gear, but in a pinch I could reduce this whole article to one sentence: a Ruger 10/22 and a Tikka T3 Lite (in 7mm-08, .270 Winchester, or .308 Winchester) will cover almost any non-bird hunting you’ll ever do. Get one of each, put good optics on them, and you’re set. Then get out to the range and practice. I used this guide to purchase my first hunting rifle, a Savage Axis II XP that chambers a .308 Winchester round. Thank you for the information. I am surprised you didn’t review the Cooper Firearms of Montana offerings. Have you compared the accuracy vs those reviewed?